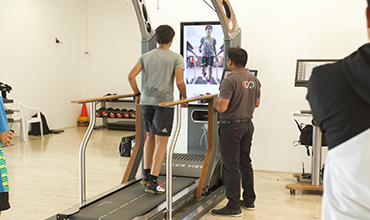 The AB Targeting Performance Center is conveniently located at Yelahanka Taluk in the Padukone Dravid Centre for Sports Excellence (CSE). Known for providing the best sports performance training facilities and rehab therapy in India, our specialist trainers and doctors use intricate and intense exercises executed in a precise manner to attain the most accurate results. 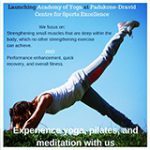 The AB Targeting Performance Centre offers comprehensive training and wellness solutions to athletes of all age groups and levels. International and national level athletes and young and aspiring sportsmen and women at the grass root level can train at the centre and elevate their performance and results. Launched in December 2017 in association with Sports Authority of India (SAI), the centre is home to over 1000 athletes training in sports of cricket, football, squash, swimming, badminton, tennis, basketball, athletics and many athletes from other disciplines make it a venue for training camps. 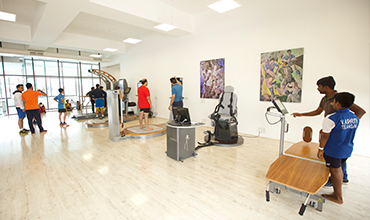 Abhinav Bindra Targeting Performance centres have been set up throughout the country with a mission to enable Indian athletes of all age groups to monitor their progress in terms of training, peak performance, rehabilitation and injury prevention on best facilities and system of machines which are at par with the rest of the world. The road to greater glory at multi-sports world events such as the Olympics, World Championships, Asian Games, Commonwealth Games etc. begins here. By laying a strong foundation for our athletes at the grass root level we ensure their development from a very formative stage of their career something which is of the essence in today's global sports environment.